Tete retained his WBO bantamweight belt in a fight against Mikhail Aloyan from Russia. Tete won via a unanimous 12-round points decision at the at the Ekaterinburg Expo in Ekaterinburg, Russia on Saturday night. 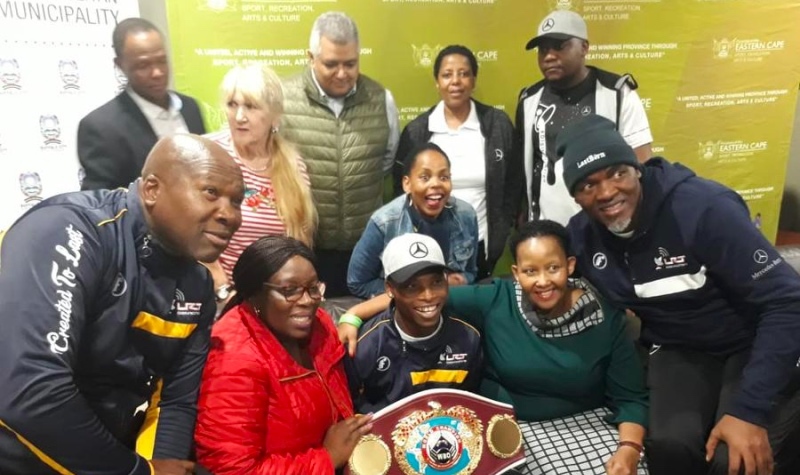 Amongst those welcoming Tete at the East London Airport were MEC for Sport Bulelwa Tunyiswa and National Minister Tokozile Xasa.